Madrid (Agenzia Fides) - Female genital mutilation (FGM) is a common practice in a large number of African countries and in some Asian countries and constitutes a serious violation of girls' rights. This abusive practice is widespread, particularly in sub-Saharan Africa, but also in some Middle Eastern countries - Iraq and Yemen - and in Indonesia. 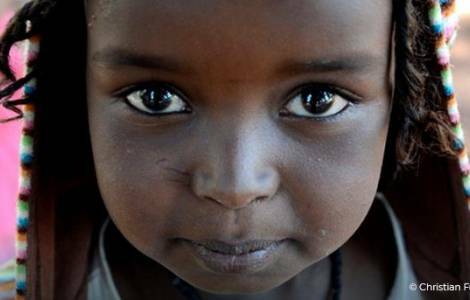 According to the note sent to Agenzia Fides by Entreculturas, a Jesuit NGO for education and development based in Madrid, even if its spread has decreased in the last thirty years, the available data indicate that in some countries (mainly West Africa and the Horn of Africa) 70% of girls were victims of mutilation. In some countries, such as Somalia, the percentage reaches 99%. The reasons for the practice are varied and complex, but the main causes derive from deeply rooted cultural patterns and norms. FGM causes damage to the health of girls not only in the short term, with pain, the risk of infections, urinary problems and even death, but on the whole life of the girl, also very serious psychological problems. FGM is a global problem that requires a global solution. According to the report of Unicef and Entreculturas, it is estimated that 3.9 million girls were affected by FGM only in 2015, the majority before the age of 15. Globally, around 200 million girls and women have been victims of some form of FGM.